Owner/winemaker Mark Aubert grew up in Napa wine country where his parents owned a vineyard. After getting a degree from University of California at Fresno in 1985 he worked at Monticello. His epiphany bottle was a 1990 Comtes Lafon Montrachet. A chance meeting with winemaker Helen Turley launched his distinguished winemaking career which included a 12-year stint at Peter Michael where he followed Helen Turley and was appointed head winemaker at 28 years old. 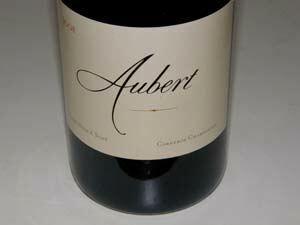 Aubert succeeded Turley again several years later at Colgin Cellars. 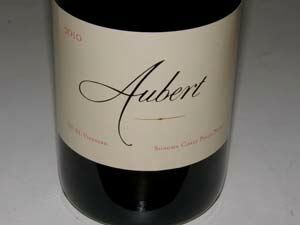 Aubert has been a winemaking consultant for several prestigious wineries including Sloan, Bryant and Futo. He launched his own brand in 1999 and his vineyard-designated Pinot Noirs and Chardonnays quickly received critical acclaim. 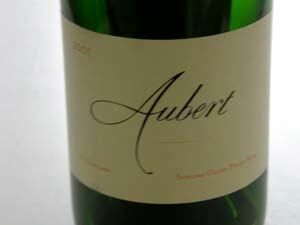 Aubert crafts his wines from estate and leased vineyards in the Russian River Valley and Sonoma Coast in a full-blown hedonistic style. The first wines were released with the 2000 vintage. The Chardonnay wines are 100 per cent barrel fermented and aged in mostly new French oak. Native ferments are the rule and no lees stirring is employed to avoid oxidation. The Pinot Noir wines are made with natural yeast, whole cluster fermentation and long maceration on the skins. The wines are ripe and full-bodied, with over 15 per cent alcohol. Until 2008, the two Pinot Noirs were from the Reuling Vineyard and UV Vineyard, both located in the Sonoma Coast AVA. By 2018, three Pinot Noirs were offered, from UV-SL and UV vineyards and a Sonoma Coast AVA bottling. 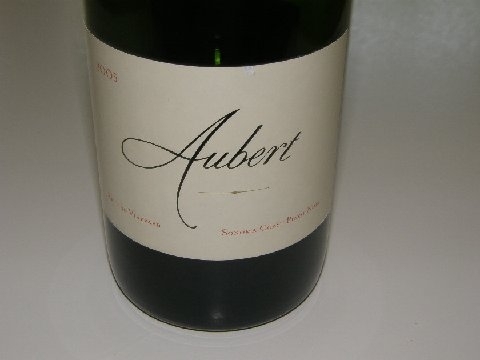 By 2014, eight different vineyards were in the portfolio that Aubert either owns or acquires fruit under long-term contract (CIX, Eastside, Larry Hyde & Sons, Hudson, Lauren, Ritchie, Sugar Shack, UV-SL and UV). Sugar Shack, CIX and Lauren are estate vineyards. Aubert credits much of his success to vineyard manager Ulises Valdez who farms all six Sonoma County vineyards that Aubert draws from. 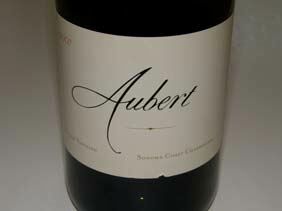 A new winery located at 333 Silverado Trail in Calistoga, CA was acquired in 2010 and the Auberts moved into the 8,000 square foot winery in January 2011. Visitors were welcomed later that year. The wines are highly allocated, expensive $85-$100), and only sold to the lucky few on the mailing list. There is a waiting list to join the mailing list. Annual production is 10,000 cases, of which 75% is Chardonnay and the remainder Pinot Noir. As of mid-2018, plans were afoot to increase production to 15,000 cases, using new estate vineyards in the pipeline.